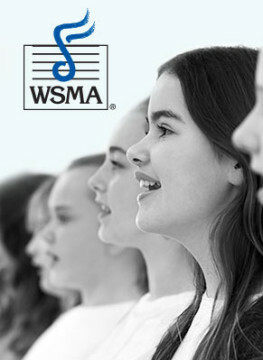 Did you know Concert Group Festivals are WSMA’s longest-running core program dating further back than our incorporation in 1932? WSMA’s first festivals were actually Concert Festivals. Eventually Solo & Ensemble festivals were added and over the years became the most well-known part of the festival tradition. With all that history, people still commonly ask, “What exactly is a Concert Festival?” Imagine Solo & Ensemble, only for full performance ensembles. 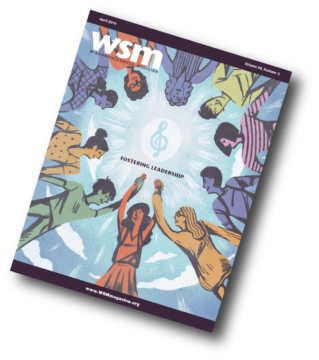 Bands, Choirs and Orchestras perform two to three selections – one of which is chosen from the WSMA Festival Music List – for a panel of adjudicators. The adjudicators provide written and verbal critique for the ensemble and award a rating based on defined criteria. Directors also have the option of performing for “comment only,” in which their group will receive written and verbal critiques, but no rating is given. Please read the WSMA Accreditation guidelines. Increase students’ understanding of music literature and music concepts. Motivate students to continue their study of music. Establish standards of excellence in music performance.